The sun is shining, birds are chirping, and it’s the official first day of spring. After weeks of rain, I feel as refreshed as the green grass is starting to look. It’s like the world is waking up and starting over. Bushes and trees that seemed dead a week ago are blooming, full of life and light and vibrant colors. The air is crisp and cool and full of expectation because something new is happening. How can you not love spring? Even when it comes covered in pollen. Because we all need new beginnings. And spring is a reminder that we serve the God who gives them. and breathes life into things that are dead. And, during spring, if we watch, we can see all of that happen once again. Every time we see a bulb we’d forgotten bloom, spring reminds us that God is at work in this world. That he’s at work in us. And, oh how I need that reminder! I need to know he’s not quite finished yet. He has plans I don’t know about it and purposes I don’t understand. And, just like he works in the dark, cold dirt during winter, he’s working in places I don’t see to bring about beauty I can’t even imagine today. He’s working in your life, too, though you may not know it. to draw people to himself and his Son (John 6:44). Don’t forget to link up for Encouraging Word Wednesday at the end of the post! 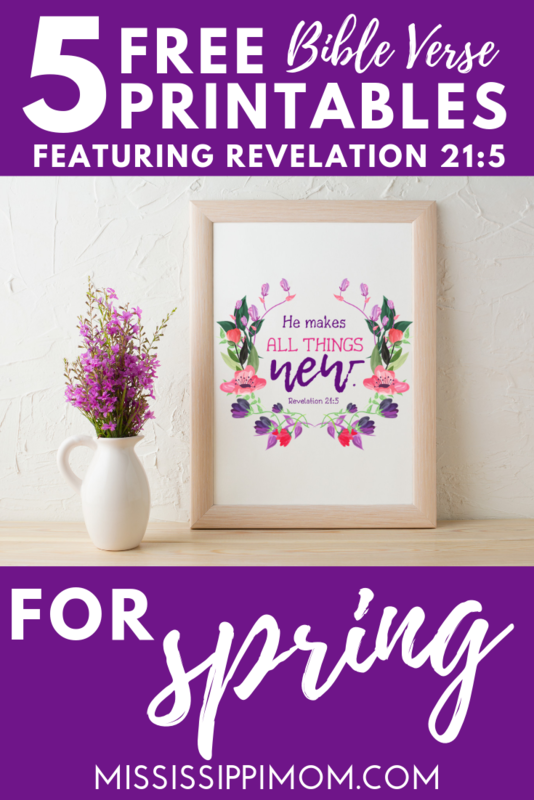 Subscribe to receive my newsletter, and as my way of saying “thanks,” I’ll send your free printables right to your email inbox! You’ll also receive encouraging emails and freebies available only to my subscribers. I hop you’ll join us this week for Encouarging Word Wednesday! Leave a link or two to your most recent faith-filled posts and be sure to visit another blogger (or two!) and offer them an encouraging word! YES! You have captured everything about spring here, and I’m so grateful for the new beginning each day, each season with God. What a lovely refreshing post! He does make all things new! We are in our Autumn here in Australia.